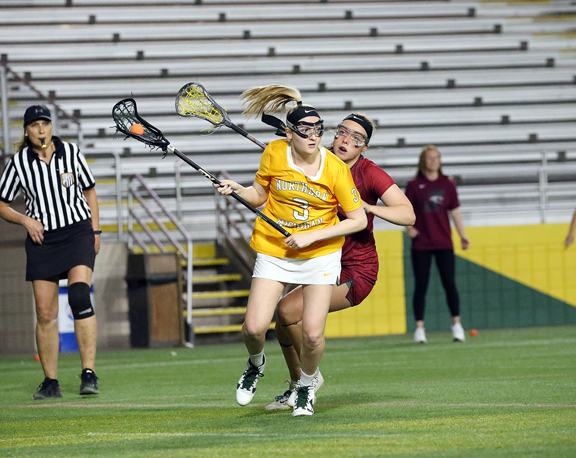 MARQUETTE — Northern Michigan University finished seventh among 12 full-time schools in the Great Lakes Intercollegiate Athletic Conference Presidents Trophy standings, the league announced recently. The Wildcats had the highest finish of the three Upper Peninsula institutions as Michigan Tech was 10th and Lake Superior State 11th. 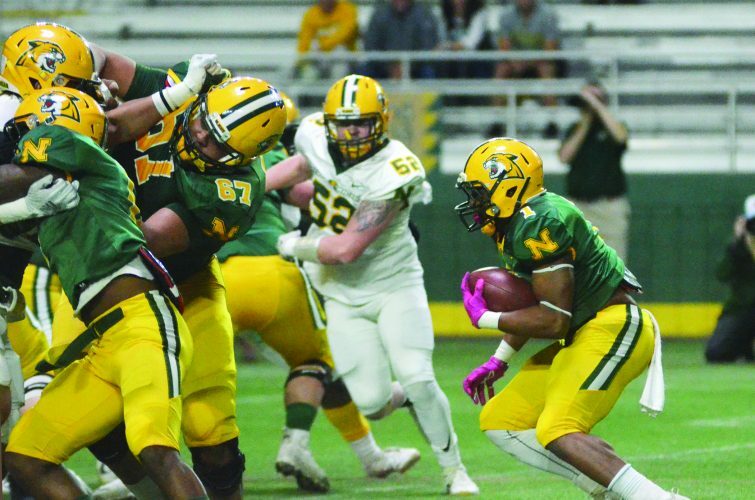 NMU totaled 87 points, 65 coming in women’s sports and 22 from men’s programs. Ten of the 12 full-time GLIAC institutions had more points in women’s sports than men’s, though the women’s total for Northern was third highest in the conference. 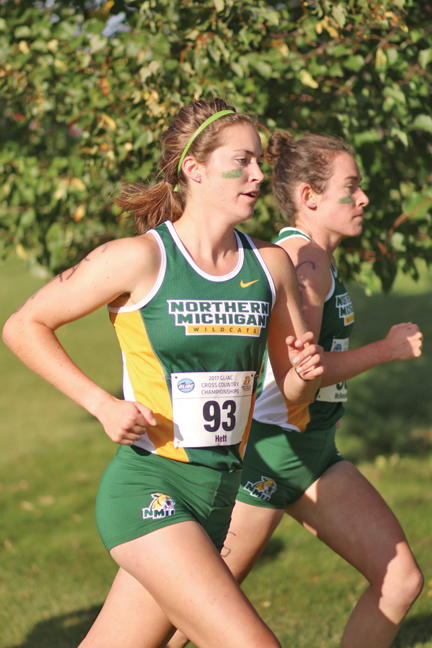 Cross country earned the most points for NMU with 11 for its second-place finish, while women’s golf got 10, also a runner-up finish. Basketball was the most productive of the men’s sports with 8.5 points for its tie for fourth place. The maximum points available in each sport is equal to the number of members participating in it, with every drop of a spot in the standings worth one fewer point down to last place worth one point. 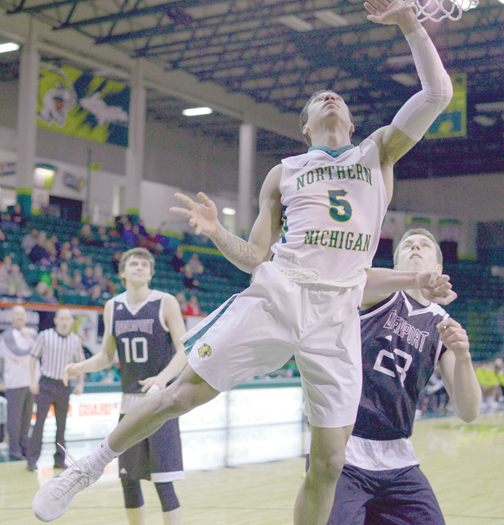 The Wildcats’ finishes in hockey and men’s and women’s nordic skiing don’t count in the GLIAC as those sports are played in other leagues — the Western Collegiate Hockey Association in hockey and the Central Collegiate Ski Association in skiing. In addition, indoor and outdoor track are considered separate sports within the GLIAC. The Presidents Trophy, also referred to as the All-Sports Trophy, is awarded at the end of each school year to honor the conference member having demonstrated general excellence in all or most sports and is designed to promote well-rounded athletic programs. Grand Valley won the trophy for the 20th consecutive year by a wide margin, accumulating 172 points, 104 in women’s sports and 68 in men’s. The Lakers won eight championships in the GLIAC’s 11 women’s sports and five of the 10 men’s championships. 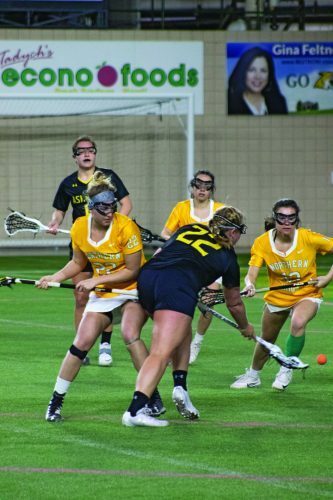 NMU, which participates in nine women’s and five men’s sports, didn’t win any. Ashland was runner-up with 122 points, including 68.5 in women’s and 55.5 in men’s, followed by Tiffin with 110, 61.5 in women’s and 48.5 in men’s. Ashland took one women’s and one men’s title, while Tiffin didn’t have any. The only other school with multiple championships was Ferris State with two men’s and one women’s. 4th, Wayne State, 105, 61.5, 43.5; 5th, Saginaw Valley State, 103.5, 56, 47.5; 6th, Ferris State, 92.5, 46.5, 46; 8th, Northwood, 86, 39.5, 46.5; 9th, Davenport, 80.5, 44.5, 36; 10th, Michigan Tech, 68.5, 46, 22.5; 11th, Lake Superior State, 36, 13, 23; 12th, Purdue-Northwest, 32, 17, 15; 13th, Indianapolis, 6, 6, 0; 14th, McKendree, 4, 4, 0; 15th, Concordia-St. Paul, 3, 3, 0. About half of the trophy standings are based on final regular-season standings, with 10 sports instead based on GLIAC tournament finish — men’s and women’s cross country, men’s and women’s golf, men’s and women’s indoor track and field, men’s and women’s outdoor track and field and men’s and women’s swimming and diving. 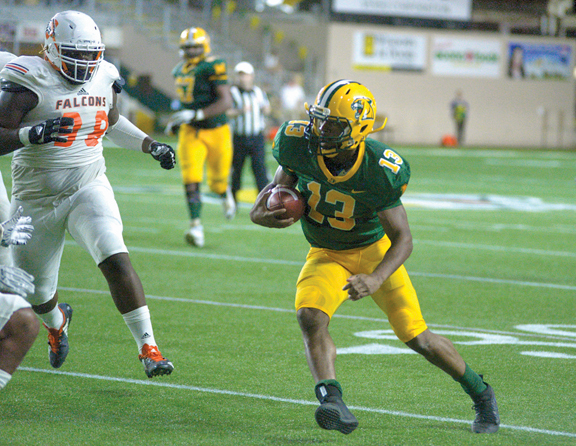 The only school to participate in every league sport was Tiffin, while Grand Valley State was in all but one and Ashland, Saginaw Valley State and Davenport in all but two. Information compiled by Journal Sports Editor Steve Brownlee. His email address is sbrownlee@miningjournal.